This is a great no-bake holiday recipe given to me by my friend Kara. It’s a favorite at her house, and we thought we would give it a try. Although there are no plums in this recipe, there are a lot of wholesome ingredients like dried fruits, nuts and honey. It’s super fast and the kids will love it. Mix honey, orange zest, and spices in a small bowl and set aside. Pulse almonds in a food processor until it is like coarse meal. Add dried fruits and pulse several times until chopped. Add honey mixture and pulse until blended together. 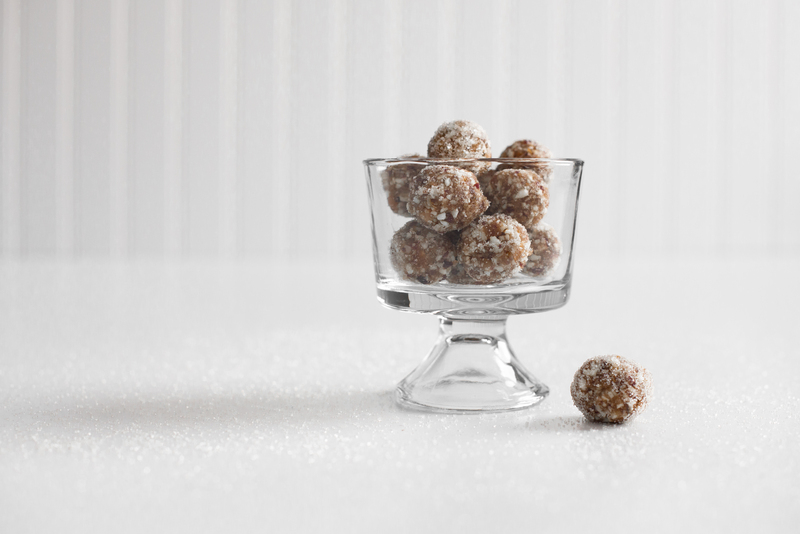 Roll into small dime-sized balls and roll in sugar.